President of Uzbekistan Islam Karimov observed the construction of the new mosque 'Minor' in Tashkent, Uzbek national news agency (UzA) said on July 19. The president inspected the work of builders and craftsmen, and made recommendations on improving the complex under construction. 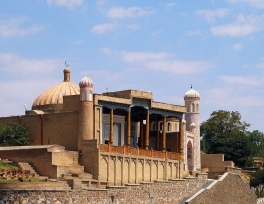 Uzbek president also inspected the mosque's adjacent territory. Extensive works have been carried out in this area for improvement. The black cloth used to cover the House of God at Makkah costs SR22 million and takes eight full months to make, Abdullah Bajawda, Kiswa Factory manager, told a local daily. In honor of the Muslim holy month of Ramadan, the month of the revelation of the Holy Quran, in scientific library of UGGU opens an exhibition "Secrets of the Holy Book." 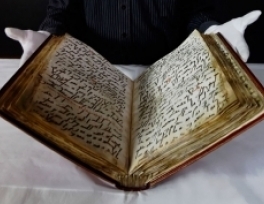 During the exhibition will be displayed about one hundred Qurans from around the world, including rare copies of pre-revolutionary period, of which particular value will be rare copies of Holy Quran - the first printed Qurans issued during the reign of Emperor Alexander I (1801-1825) by Muslim Tatars. 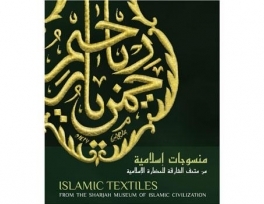 The Kiswa, or covering of the Kaaba, has been featured as one of the most important symbols of Islamic society in a new publication launched in Sharjah on Monday. Hand-written Qurans along with the ones written in several languages are exhibited in Istanbul during holy month of Ramadan, the month when the Quran was first to be revealed by Allah. 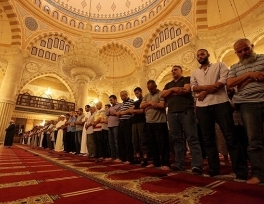 It is during this time of the year – according to the Islamic lunar calendar – that many Muslims across the world welcome the arrival of Ramadan fasting; for the many foreigners living in Turkey it is a time of adjusting to a new way of life. Ramadan is the most important time of the year for Muslims as the revelation of the Holy Quran to the Prophet Muhammad happened during this month. A Saudi charity organization aims to revive the Siqaya service, an old tradition that has become obsolete by time where pilgrims, guests and visitors of the Grand Mosque in Makkah and the Prophet’s Mosque in Madinah were offered water during the holy month of Ramadan as a gesture of good will by the natives. 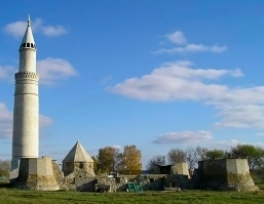 The ancient city of Bolgar in Russia’s Republic of Tatarstan has been inscribed on UNESCO's World Heritage List. The inscriptions came on June 23 at the ongoing 38th session of the World Heritage Committee in Doha, Qatar. 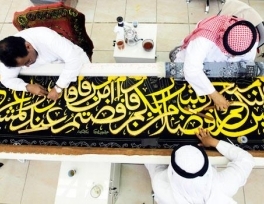 The Kingdom of Saudi Arabia has almost completed elaborate and comprehensive arrangements for Qur’an recitation at Makkah’s Grand Mosque ahead of Ramadan. The Qur’an is now available in 72 different foreign languages. 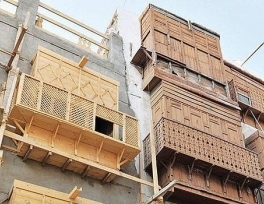 Prince Sultan bin Salman, president of the Saudi Commission for Tourism and Antiquities (SCTA), announced on Saturday that the World Heritage Committee of the United Nations Educational, Scientific and Cultural Organization (UNESCO) has decided to include the historical sites in Jeddah in the World Heritage List during its meeting in Qatar.